Pointed round head brushes feature dine camel hair. Seamless aluminum ferrules are double crimped to standard length hardwood handles. Great for watercolors, and all-around school, hobby and craft use. Number 6 brushes are 11/16" long. 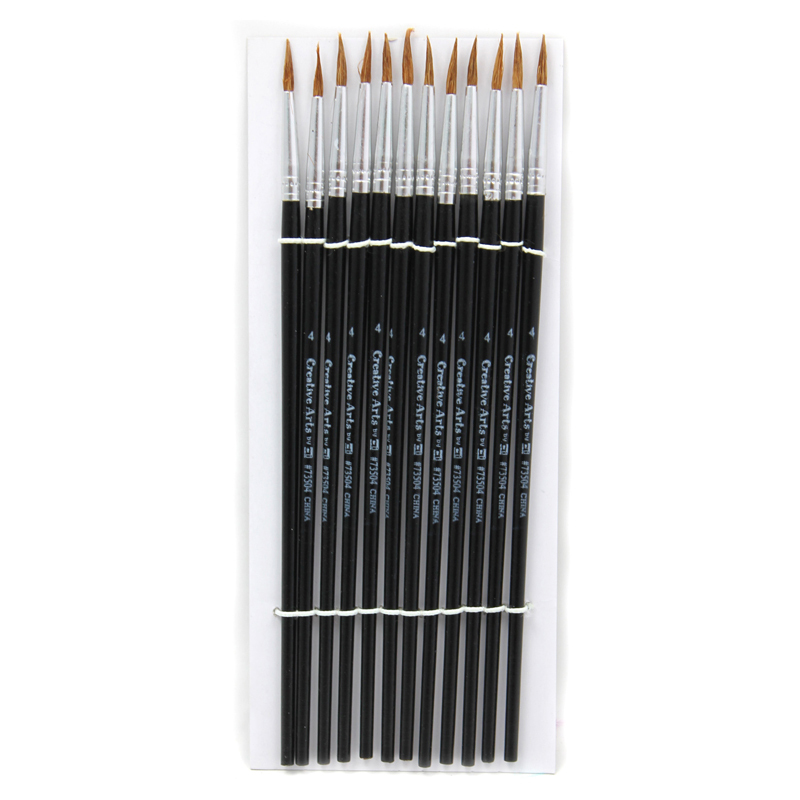 Each pack includes 12 brushes. 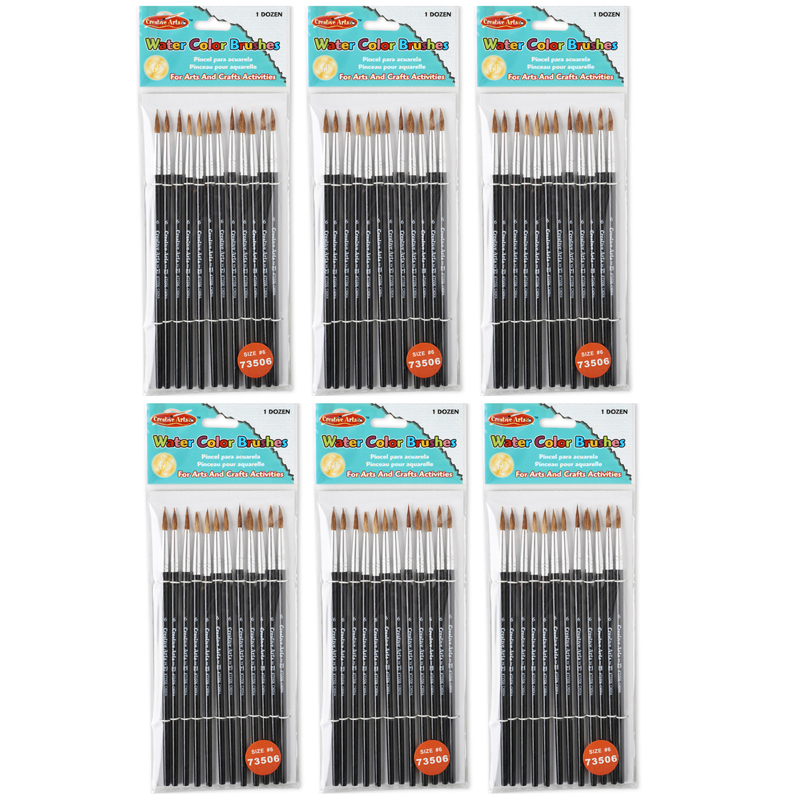 Sold as 6 packs for a total of 72 brushes. 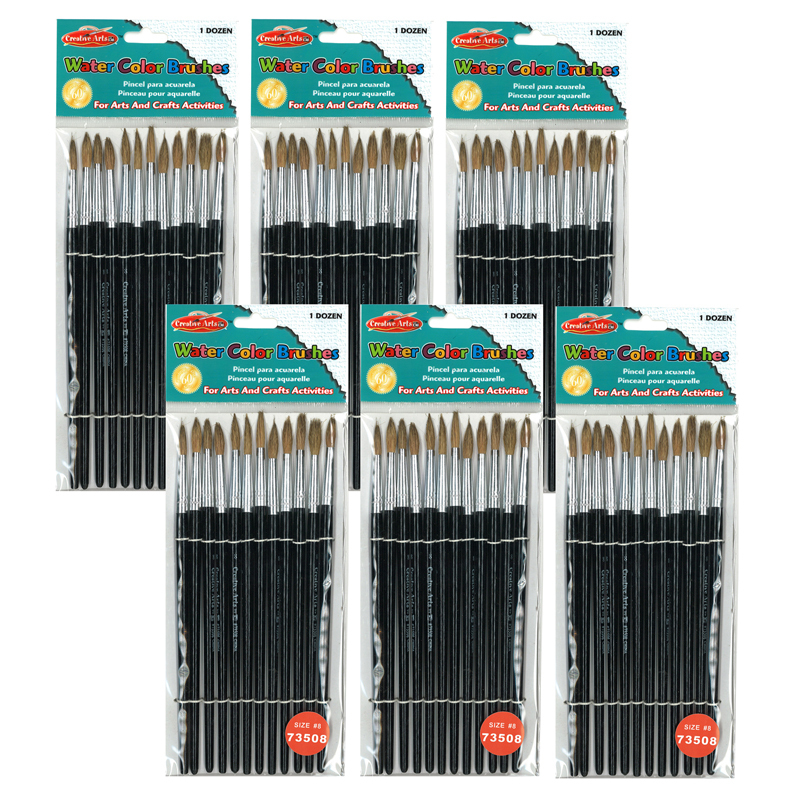 The (6 Pk) Paint Brushes Pointed#6 11/16 Camel Hair 12 Per Pack can be found in our Paint Brushes product category within the Arts & Crafts.